Leon Edwards wants to fight Jorge Masvidal in the near future, but feels that the UFC ranking system is keeping it from happening right away. 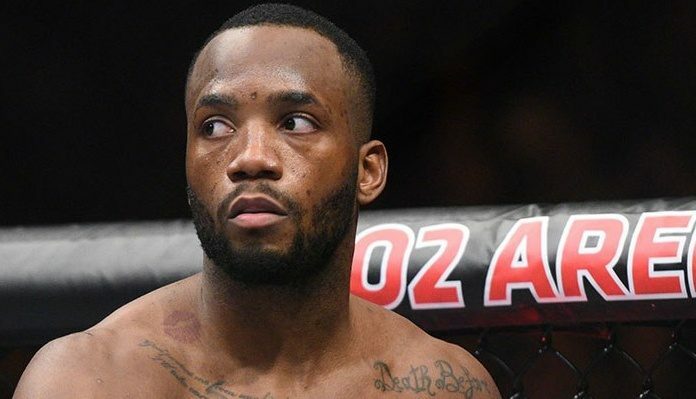 While Leon Edwards continues to climb in the welterweight ladder and improve his already impressive winning streak, his place in the rankings doesn’t reflect that, and he’s being vocal about his displeasure. In an interview with BJPenn.com, Edwards discussed his issue with the ranking system and how he feels that the UFC is trending towards a WWE style of entertainment over sport. Coming off his win over Gunnar Nelson, which elevated his overall record to 17-3 and his winning streak to 7-straight, Leon Edwards is taken aback by the fact that fighters who are talking more but also losing are ranked ahead of him. Recently, UFC President Dana White said that a fight between Edwards and Jorge Masvidal wouldn’t happen because there is too much of a gap between each fighter’s ranking, but to Edwards, that just proves it’s all more of a popularity contest. There’s no question that the more trash talk and entertainment that is brought into the UFC, the more attention it has received, but fighters like Leon Edwards just want to be given their deserved credit for the performances they’ve put on.